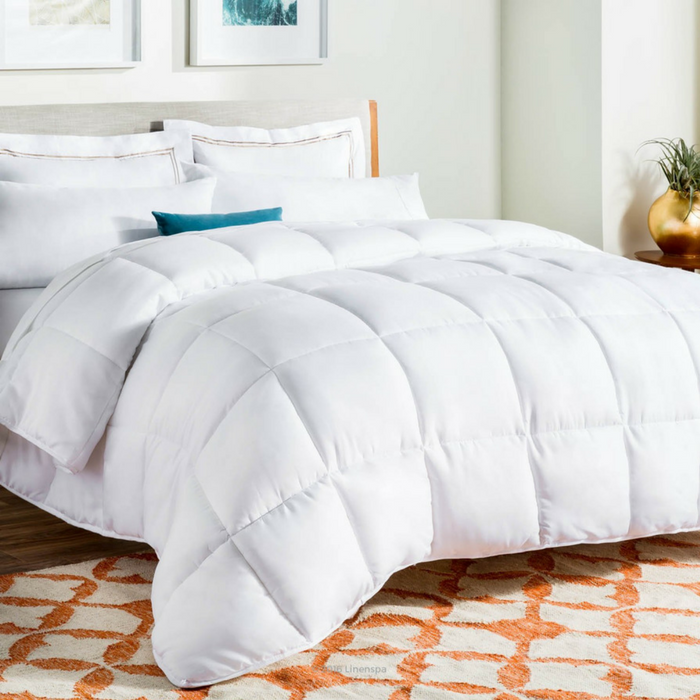 All-Season White Down Alternative Quilted Comforter Queen Size Just $31.99! Down From $75! You are here: Home / Great Deals / Amazon Deals / All-Season White Down Alternative Quilted Comforter Queen Size Just $31.99! Down From $75! Don’t miss this awesome deal at Amazon! Score this #1 Best Selling All-Season White Down Alternative Quilted Comforter Queen Size for just $31.99 down from $74.99 PLUS FREE shipping! Down alternative offers the style and comfort of down at an exceptional value. The microfiber fill in this down alternative comforter is not only soft and cozy, it’s a great choice if you have allergies. With a microfiber cover, it also resists wrinkling.